IMAGE: RBI governor Urjit Patel. Photograph: Danish Siddiqui/Reuters. "We want a drop in interest rate. This (interest rate) is a huge problem now for us. Real interest rate in India today is touching six percent," Ficci chief Pankaj Patel said, arguing that there should be balance between growth, inflation, and interest rates. 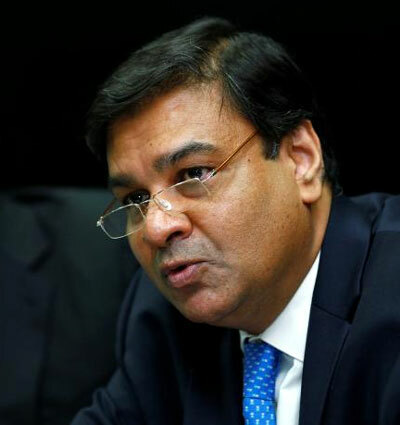 FICCI President Pankaj Patel on Friday slammed the Reserve Bank of India over its reluctance to cut interest rates, saying its policies were "not industry-friendly" and posed a hurdle in the country's economic growth. In its latest monetary policy review on October 4, the RBI had kept the policy rate unchanged at 6 per cent even as it cut the growth forecast to 6.7 per cent for the current fiscal. Patel said such a move was "anti-growth". "RBI is not behaving properly. It (RBI policy) is anti-growth," Patel told a group of Indian reporters in Washington, DC. Indian industry, Patel said, wishes that there be a drop in interest rates, on which, he said, the RBI has adopted a rigid approach. "We want a drop in interest rate. This (interest rate) is a huge problem now for us. Real interest rate in India today is touching six percent," he said, arguing that there should be balance between growth, inflation, and interest rates. "Inflation is necessary irrespective of growth. There has been no growth without inflation," a visibly upset Patel said, adding that his views were known to the RBI and the government. Patel is leading a delegation of Indian industrialists to attend events on the sidelines of the annual meeting of the International Monetary Fund and the World Bank. "A tighter monetary policy is hurting India's economic growth," Rashesh C Shah, senior vice-president of Federation of Indian Chambers of Commerce and Industry (FICCI) said, as he chipped in to express the prevailing sentiment against the RBI among the country’s corporate sector. "On the other hand, the government has adopted a business-friendly policy," said Shah. FICCI secretary general Sanjaya Baru, said it is a myth that there was no new jobs creation. "Because we do not have produce annual employment data, so everyone is talking in thin air. The bulk of the work force has been created in sectors that have created this six percent growth," Baru said, adding that a lot of these jobs are in informal sectors. "To accelerate growth, moving forward, it is clear that the government doesn't have the capacity. The private sector has to do it. Therefore, you need to ensure that there is conducive policy environment," he said. "Message for the government is -- let's go forward," he added. Another member of the delegation, former president of FICCI, Rajan Bharati Mittal, said technology is destined to play an important part in India's growth. "Once they get into mass production, countries like India should be worried about the impact of automation on jobs and employment," said Mittal. Time for a little secular pragmatism?